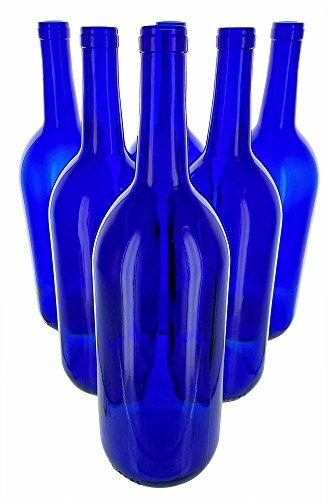 6 New 1.5 Liter Cobalt Blue Bordeaux Flat Bottom Bottles for Wine Making, Crafting, Lighting, Bottle Trees, Vases, Parties and Creative Ideas! ACTUAL BLUE GLASS These are new, unused bottles. Measuring approx 13" tall and 3 3/4" diameter, these bottles accept a 3/4" cork (not included). These bottles will accept #8 and #9 size corks. 6 bottles per case. If you have any questions about this product by Antiques Ahead, contact us by completing and submitting the form below. If you are looking for a specif part number, please include it with your message.